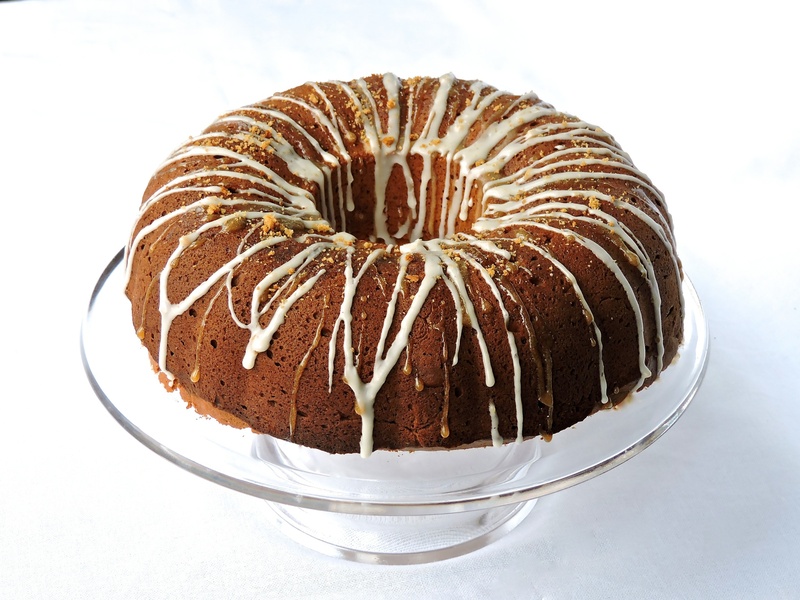 First, preheat the oven to 170FAN and spray a bundt tin liberally with cake release spray. It’s common and traditional practice to grease bundt tins with butter and flour but honestly, it’s so much easier to buy the spray. It practically guarantees the cake will come out cleanly and you don’t get floury residue on the cake once you turn it out. Then, sift the flour, baking powder and bicarb in to a bowl and set aside. Beat the butter, sugar and vanilla for five minutes until fluffy and paler in colour. Add the eggs, one at a time and mix well after each addition. Then add the dry ingredients and the buttermilk alternately until the batter combines. My mixer struggled a bit towards the end due to the sheer volume of cake batter but it was fine. 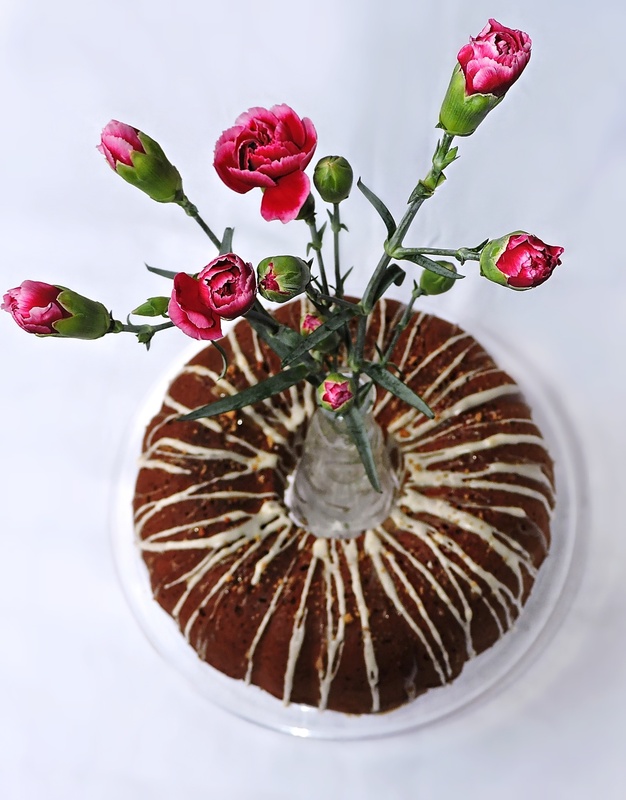 Try not to over-mix because over-working the gluten in the flour lends to tough cakes. Spoon the mix in to the tin and level off with the back of a spoon. Bake for an hour. Let the cake cool in the tin. (I don’t know why I always suggest doing this, I never do it – I’m way too impatient and end up turning it out to cool on a wire rack. It’s always fine but beware, you’re more likely to cause some serious cracks or breakage because it’s still piping hot) LET THE CAKE COOL. 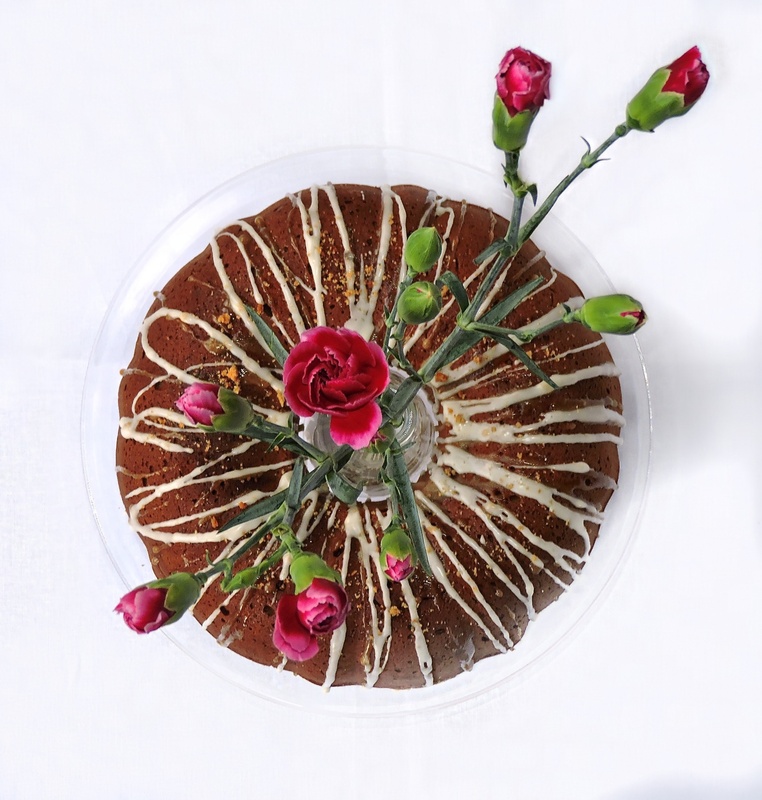 My cake rose A LOT during baking. But I’ve determined it was all necessary because the crumb structure was actually perfect. There were no big holes or anything, so just let it be in it’s huge glory and trim the unsightly bits off, so the cake sits flat when it’s turned out. To make the glaze, heat about 2-3 tbsp milk in a pan with the half teaspoon of coffee. Add about half the icing sugar and let it dissolve – it will be quite thin. 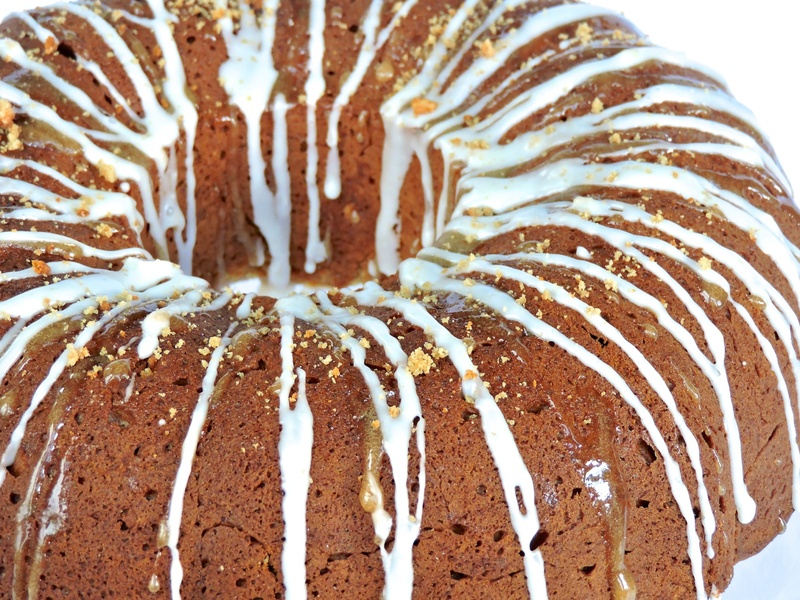 Brush the cake with the coffee glaze. Continue heating until it’s thickened up a bit and flick the glaze back and forth over the cake. This glaze is far stronger than the white glaze but it really amps up the flavour so don’t hold back. To make the white glaze, sieve the rest of the icing sugar into a large bowl and stir through a couple of tablespoons of milk to make a thick icing. (I actually stirred some of the previous glaze through too, to give a subtler flavour). This step is reliant on your intuition. Use as much, or as little of each glaze ingredient as you see necessary. (If all else fails melt some chocolate over the top and call it a day). 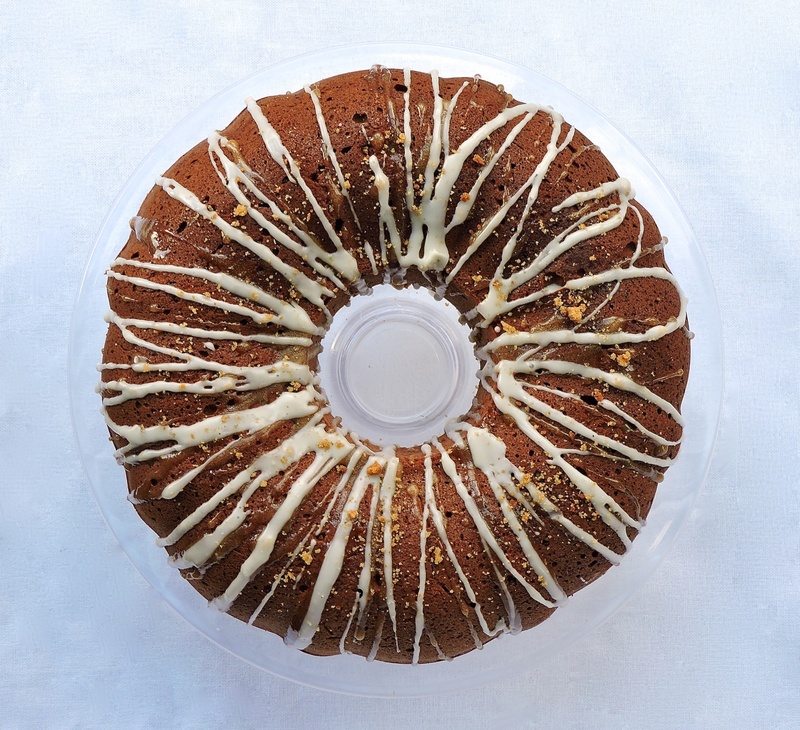 CAKE CRUMBS – When I trimmed the underside of my bundt cake, I didn’t want all that cake to go to waste (it could have fed a family of four), so I blitzed it all up in the food processor and sprinkled some crumbs on the top as decoration. The rest went in a ziplock bag in the freezer. Cake crumbs are super useful for decorating cakes with and making cake pops, if you don’t have one of those weird cake pop maker things. I’ll do a post on it one day.. When I find the cake crumbs at the bottom of my freezer having previously forgotten about them, probably. I hope you’re all having a lovely February and thanks for Keeping Up With The Kardashians BakedByH! Love toffee, this looks so delicious! 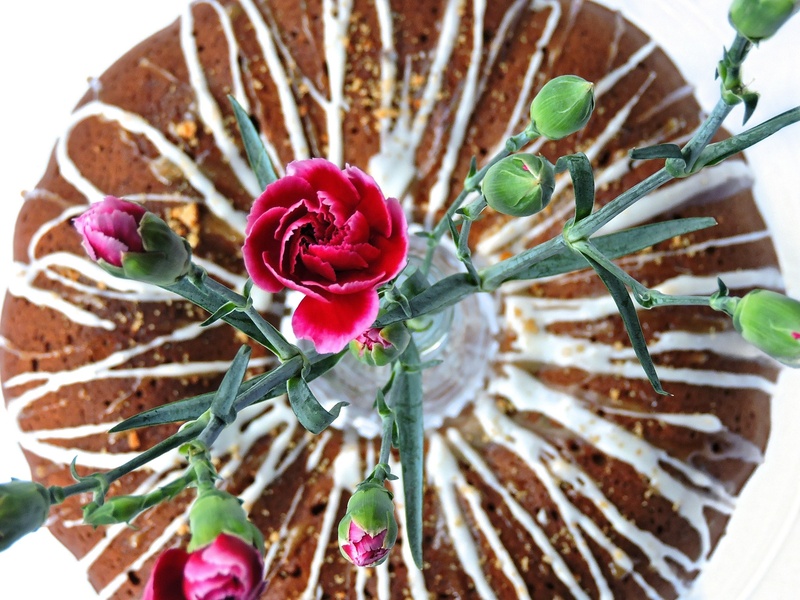 I always think about My Big Fat Greek Wedding when I make a bundt cake too! Using the crumbs to decorate is a great idea. Also, your bundt cake looks so much better than the one in the movie.